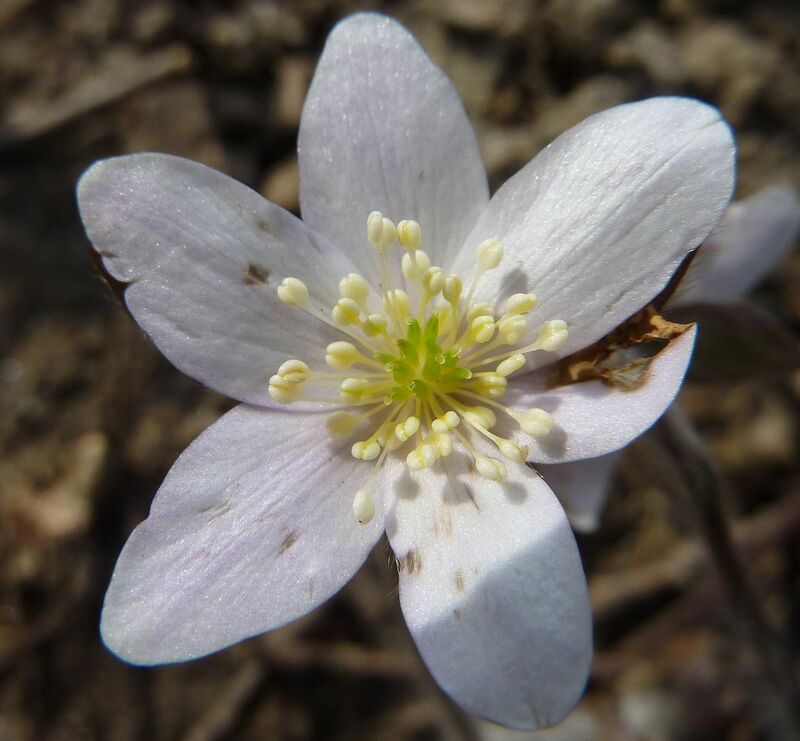 Hepatica has been flowering for a few weeks now and is finishing up now. I've ordered a few more from a nursery and hopefully I can get a population of them that's capable of spreading. As it is, the two plants I have only flower on occasion. One of them almost never flowers, while the other is more consistent with its blooming, but even the good one this year has focused more on green growth than blooms. They don't seem to be dividing at all, and I don't see any signs of their seeds having germinated either. What's more I've never been able to get ants to take any interest in the elaiosome on their seeds, which can be a sign of seed quality. 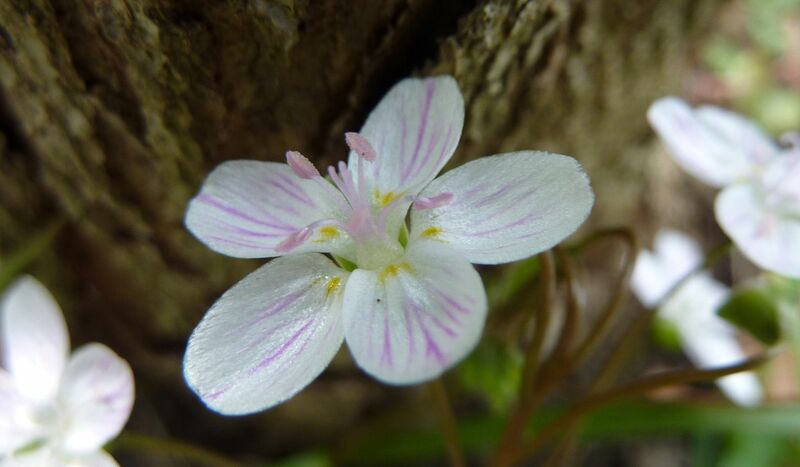 Plants tend to put more effort in seeds that have resulted from good pollination, whereas others may only be duds. Hopefully all they need is just a little pollinating diversity and these issues will be fixed. 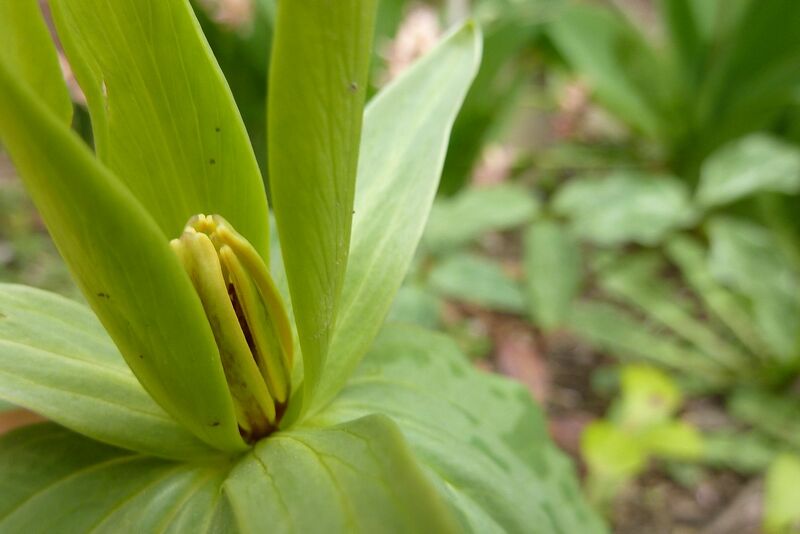 The Trillium luteum I have in the front garden is flowering earlier than all the rest I have in other gardens. It's petals are green now, but they should turn yellow in a week or so. They're fragrant if you put your nose to them too. 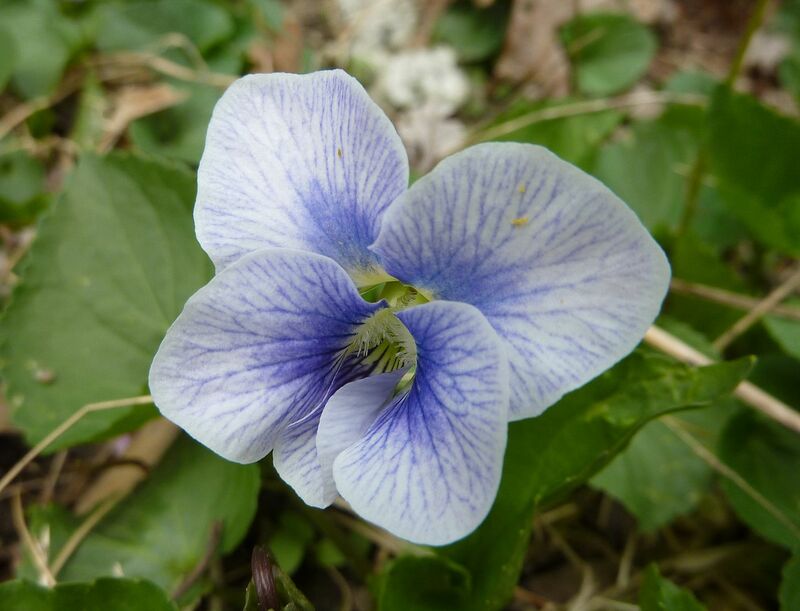 Violets were well established in my yard long before I started gardening. I'm not sure what to think of them honestly. I never see anything pollinating them, their seeds are ignored by ants despite having elaiosome on them, they reproduce likes weed but are surprisingly very well behaved. The rhizomes they form are easily removed and seem to die out after a few years but their seedling replace the mother plant easily enough. And they only grow where there's damp soil in partial sun or shade. They're a convenient ground cover that I started weeding out of the lawn areas and transplanted into the gardens. 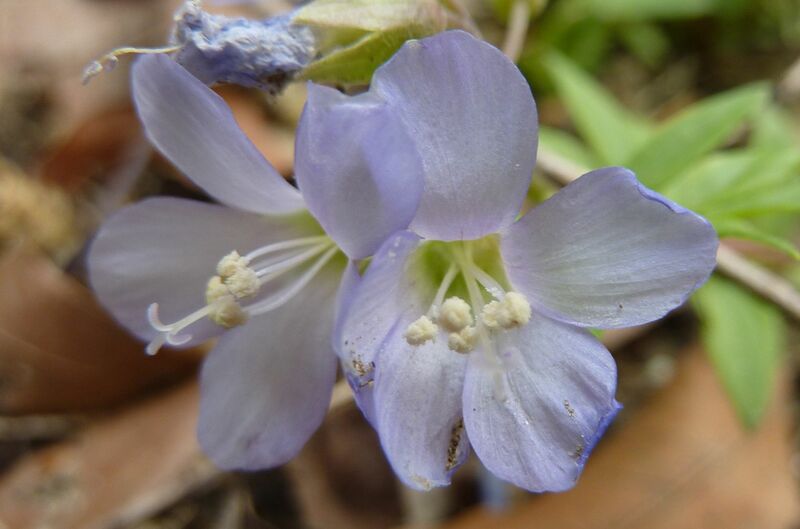 Jacob's Ladder, Polemonium caeruleum, were also flowering. Truth be told, the ones I planted in the meadow garden are either dead or haven't broken dormancy yet. These were new ones I'd ordered and all flowering right out of the box when it arrived. I have to have them shipped in because none of the local nurseries sell the true species, they're all stuck on the cultivar wagon and boast the variegated leaves and such... and honestly I don't care. It's actually cheaper this way. They're planted right next to our pond which will hopefully make them grow better.